Andrew-00, Jims, AndrewB2, Daniel, Gareth, Tammas, "Goucho" Mark, Jon, Gary, Gordon, Aid, Em, GrahamM, "Harpo" Mark & Dorian, "crispy" Chris, Steve with Sam and Will. Gary, Jon, Gordon, and Mark kindly agreed to play my deckchairs-on-a-beach game, while we waited for further people to arrive. The game lasted 40 minutes after my rule explanation, which was faster than the game's advertised running time of 15 minutes per player. As is my way, I suggested and enroled a few of those arriving at the start of the day to play a lighter/quick game to help ensure those arriving due to traffic delays etc would have people to game with. Blowing the dust off the old stalwart track building game, we were soon five, although Tammas, Gareth and Andrew had not played before. The rules are simple, play time is quick and there is always a sense of "I can do better next time". Tammas rocketed home in two rounds (which is not good in this game), leaving those who had actually won in each round ins a very strong place. Would like to play again but with the Vexation expansion, which makes the game more tactical without destroying the feel of the game. And we will also see if Andrew and Gareth have used-up their "beginner's luck". Loss: The earth and all it's inhabitants were doomed from Mass Outbreaks of diseases worldwide, possibly because of poor administration work by the undercover bio-terrorist (There was no expansion being played, I just shuffled epidemic cards rather close to each other). Our demise was delayed valiantly by some good damage control from our Quarantine Specialist. Daniel was up for playing my current favourite game and AndrewB2 was in too. Daniel shot ahead but it was going to be Andrew's game - he was building a huge field of cows. I twice decided to spend my hard earned silverlings o buy 2 big point cow tiles other wise each one was going to be the worse part of 20 points to Andrew - "taking one two for the team". Naturally this "hurt" my own plans and in the end I was going to be a distant third. All there was left for me to do was to try and banjaz Daniel and his buildings, which I managed, just, so the scores look much closer than they were going to be at one time. A great game which I always enjoy playing, win or lose. It's been a while since I played this so the rule explanation was a little faltering but it is a fairly simple game and I don't think we got anything wrong. The game is part bidding (similar mechanic to Cyclades and Amun Re) on mutations/genes with which to customize your dinosaur, followed by a positional board element as you move your dinosaurs and position it's new members to both block/combat the opposition and find safe terrain on which to survive the changing vagries of the climate. You bid with VP's which you also earn for the number of surviving dinosaurs you have at the end of each round. The game ends when the meteorite strikes - between 9-12 turns. The bidding/genes part of the game is semi-strategic but the positional board element tends to be tactically opportunistic - there is some luck with the combat dice but you know the risks and have means to offset them via genes so for me it's fine. The game is a lot of fun but may not be deep enough for some. 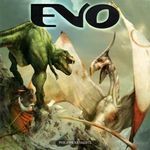 Jonathon dinosaurs picked up some chameleon skin which made them a bit slippery to attack and he also picked up an early ability to offset his bidding costs. I went for speed and aggression then picked up a very useful ability to project my baby dino's. I can't remember Andrew's tactics but he claimed pacifism and Mark went for cards - they tend to be cheap in the auction which means you save VP's and they can have quite useful abilities. At the half-way mark I reckon Mark and Jonathon were tied for the lead (hard to tell as VP are secret) but then Mark experienced a bit of an extinction event. He recovered with 'Killer Babies' but not before I had a bit of a population surge, followed by my own population crash. As we changed round shortly before lunchtime, several people seemed interested in playing Lords of Waterdeep. It turned into a 6-player game utilizing both modules (Skullport and Undermountain) from the expansion. To be honest, stretching to six felt like going a little too far - you still only get 2 agents in the first half of the game so you don't get many turns, and it's very hard to keep track of what's going on. The Undermountain 40-point quests plus the Skullport corruption actions led to some really big jumps in scoring, the extra Intrigue from Undermountain significantly added to the chaos, and there was a chronic shortage of wizards as no new buildings came out that gave wizards. Perhaps surprisingly, everyone seemed to be wary of the potential penalties of taking corruption, so it only reached -5 and no-one had more than 2 at game end. This is my current favourite "family" games - think of games like Finca (which will probably return as my favourite family game), Fresco or even Asara for a comparison weight. 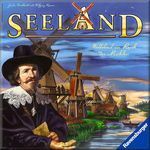 But I think Seeland is the most accessible as a family game, even at the "advanced" game level (the standard game is very dull). And this was proved by young Dorian stomping us with some well scored windmills that even with the bonuses, Daniel and I could not catch up. I ended the game a turn earlier than I needed too, because I could not see me catching Dorian, but could see Daniel's score overtaking mine! Will played well too, but just didn't get the big scoring windmills and got caught a few times by the inspectors. Not to Danial's taste, but a great family game with an interesting distance movement mechanic on the rondel. I would like to play again with Andrew-00's idea of having the island tiles face up to help offset the "luck of the draw" when flipping them over. Played by: Gary, T101 James, Jonathon, Gordon. Snowdonia has a number of elements that I have grown a bit weary and wary of over recent years - it's a worker-placement, action-selection, cube pusher, with a fair few fiddly rules, which runs beyond the hour and a half mark. However, for some reason, I like Snowdonia - the mechanics do engage with the theme and it does have a lot of charm, although it does have a couple of niggles. - I like the artwork. - It's clever and there are a fair few routes to VP's and therefore diverging strategies. - The weather/contract cards, and the pace of the game being dictated by the event cubes coming out the bag, does provide quite a bit of variety to each play. 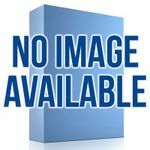 - It is still quite dry, and despite the engaging theme never quite escapes the fact that it is just a worker placement, cube pushing exercise, although it does disguise it quite well. - Has a couple of fiddly rules and some exception rules. - The special powers and the criteria for gaining VP's from contracts are vital to winning the game, but are only provide on the contract cards themselves - the VP bit is done in icons and is fairly visible but the special powers are in text so, unless you are the one sitting next to the card row you are at a disadvantage. I guess this would improve with more plays as you become familiar with the cards, of the game but some form of upright card display, or larger cards, would be good. - It's a gamers game - I was thinking of taking this on a camping trip to Snowdonia in a week's time, to snare some folk who are inclined to like games but who are not committed gamers, but I think this would be a hard sell - particularly for the teenagers - it's clever but lacks those moments of more visceral fun that pull non-gamers in (especially teenagers). I think I'll take Evo instead. In our game Jonathon, Gary and myself had a hard, close-fought battle for second place. I cleared no rubble and laid no track but I had a nice engine, my surveyor reached the summit and I contributed the more attractive parts to the station buildings. Jonathon did quite a lot with rubble but didn't have a nice engine. Not sure what Gary was up to but he was also engineless and James had lot's of contracts (he was the one sitting next to the contracts card row ) and scored lots more points. Lots of back and forth, accusations, intrigue. But in the end, it came down to (as it often seems to with this game), everyone forgetting about certain less-glamorous cards and the queen collecting the two gold for the victory when everyone forgot about her (him). Crispy Chris joined me in a Mexican standoff, but ultimately couldn't kill my heroic guardians before time ran out. I've played this through a couple of times now, once as the bad guys and once as the good guys, and have enjoyed both. It's fairly light, easy to teach, hand management and positioning for the final showdown is key. 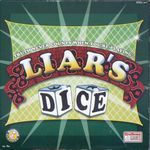 There seem to be a growing number of these highly thematic relatively quick playing asymmetrical card games, at a decent price point. The clincher, for me, is that I can occasionally prevail upon my wife to play them. I can see enjoying them for a few games, getting familiar with the cards, then swapping them for another once they get stale. Currently watching for Invaders, due for release in Essen, in much the same tradition. Just time over lunch break for a play of my favourite 2-player game. Advanced game set to "Recruit" level. We just saved the last victim and the building collapsed, with one firefighter (me) left inside. A good first play experience for AndrewB2 and Tamas. Last time I introduced this to a club group, the fire pretty much guttered out, leaving a few wisps of smoke while we swept up the victims unhindered. A good simulation game, but unpredictable, just like a real fire. Once again the laws of probability were roundly trounced causing much disbelief and laughter. Incredibly neither Tammas or Gareth had played before. 2013 Edition (Base Game) - Second attempt at averting the apocalypse. Loss: It was all going so well; Yellow fever had been eradicated, Scarlet Fever had a cure, whatever disease the blue one is (It affects Europe and the States: a chronic sense of entitlement perhaps) had also been cured. The outbreak track was almost full but things were contained and a final cure was on the brink of discovery when The US Government was shut down preventing all funding for our efforts and resigning the human race to extinction from the Black Death (Loss by card exhaustion). Bugger. 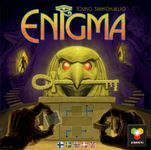 With the time fast approaching 5.30, we needed something short, so I suggested Enigma. I managed to twist Gordon's arm to get him to make the full complement of 4, which makes the game work best. Enigma is in two parts. At heart it's a highly simplified Carcassone-style game of tile placement combined with taking control of features. However, the most important part of the game is in how you get tiles. There are four piles, and each player gets to pick from the four top tiles running round from the turn's start player (which rotates clockwise). Each pile is associated with a type of puzzle: tangrams, a 3D block puzzle, an arithmetical balance puzzle, and a tile-matching puzzle. When all players have their tile and the corresponding puzzle pieces, everyone turns over their tile to reveal a unique puzzle, and tries to solve it. A timer can be started at any time by anyone. Only those who successfully complete their puzzle before time runs out can place their tile. Gordon found the puzzles hard going (he preferred the 3D puzzles), while Jonathan tended to go for tangrams. JimF and I tried to pick based on the tile rather than the puzzle. Scores are incomplete and ratings are missing because people left promptly once we'd finished (around 6.00) - indeed I'm not even 100% sure of which way round Jon and JimF finished! Incidentally, this was designed by one of the designers of Eclipse, though it bears incredibly little resemblance to it!